Do You Need an Attorney to File for SSDI Benefits? 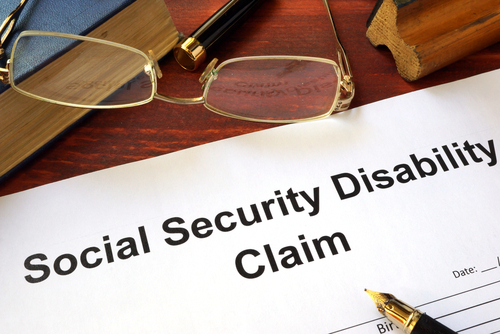 Do you need the assistance of an attorney to file for Social Security Disability Insurance (SSDI) benefits? The short answer is probably not for simply completing the initial application. But if your application is denied and you need to have a hearing, you’d be well advised to be represented by an attorney or another qualified professional. The application process is fairly simple. You can apply for SSDI using the Social Security Administration's (SSA’s) online application, by telephone (1-800-772-1213) or by making an appointment to visit your local Social Security office. (To find your local office, click here.) The SSA recommends that applicants assemble a host of information prior to applying, but if it is going to take a while to get your hands on some of the documents, it's better to apply and then obtain the required information. However, the SSA initially rejects approximately 70 percent of disability applications, and many applicants give up at this point. This is a mistake. If taken through the appeals process, claims have a fairly high chance of being approved. But having professional assistance in this process will up your chances of success and is strongly advised. If your initial claim is rejected, the first step in the appeal process is to file a Reconsideration Appeal within 60 days. Most requests for reconsideration are denied, but the request can be done without an attorney if you are certain of your ability to fill out forms correctly. However, once your initial application has been rejected you should consult with an attorney so that you have one already lined up after the likely rejection of reconsideration. That’s because the next step in the process is a hearing before an administrative law judge to plead your case, where you will want representation. You have 60 days following the reconsideration rejection to file a request for the hearing and you should have an attorney or other qualified representative in your corner before filing that request. By law, attorneys or non-attorney disability representatives can’t charge an upfront fee for their services; they receive 25 percent of a claimant’s back payment, and this is paid only if the case is won. Representatives may, however, charge fees for things like copying medical records. “It is really just foolish to go unrepresented” at the hearing, says Tim Moore, a disability claimant's representative who created the invaluable Social Security Disability Resource Center website. “Statistics show that those who have an attorney are far more likely to be approved for benefits than those who choose to represent themselves,” Moore states on his site. In addition, Moore notes, an attorney may be able to speed up the scheduling of your case before an administrative law judge, or even eliminate the need for a hearing altogether. That said, bringing in a professional even before filing your initial claim might be the right choice if: 1) you think you might not start the process without help; 2) you may have trouble meeting the SSA’s very tight and strict deadlines; or 3) you want to make sure your paperwork is completed correctly. Whatever you do, do not delay; failing to file a timely appeal could ruin your chances of obtaining retroactive disability benefits that you might otherwise be entitled to receive based on the date of your initial application.